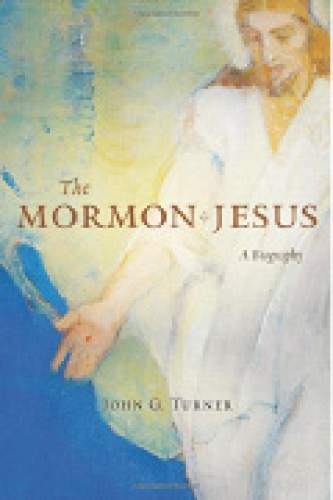 | Courtesy Cover of "The Mormon Jesus" by John G. Turner. 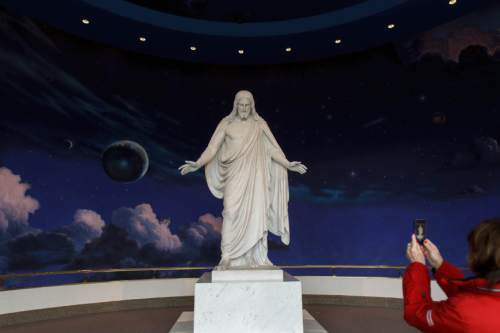 Trent Nelson | The Salt Lake Tribune The Christus, a statue of Jesus Christ on display at The Church of Jesus Christ of Latter-day Saints' Temple Square. Though Mormons and evangelicals may be allies on some social issues  opposition to gay marriage, for one  they have long been theological foes. In recent decades, many evangelical believers as well as mainstream Protestants repeatedly have argued that Mormons are not, in fact, Christians. Members of the Utah-based Church of Jesus Christ of Latter-day Saints, these groups assert, worship a different Jesus, have a different understanding of the traditional three-member Trinity and a different understanding of God. After completing an award-winning biography of Mormon pioneer-prophet Brigham Young, John G. Turner was so baffled and intrigued by such allegations that he turned his attention to that faith&apos;s teachings about Christ. The result is Turner&apos;s "The Mormon Jesus: A Biography." Early Mormonism was intensely Christocentric, Turner, reared in evangelical Christianity and Presbyterianism, told Mormon blogger, Jana Riess, in a recent Religion News Service interview. The faith&apos;s foundational scripture, the Book of Mormon, "is about the divinity of Jesus Christ. Joseph Smith&apos;s early revelations are the words of the savior, essentially. Early Mormons thought Jesus was coming back tomorrow," said Turner, who teaches American religious history at George Mason University in Virginia. "And in terms of contemporary Mormonism, the savior is essentially everywhere  in artwork, General Conference talks and increasingly in piety." In the past 50 years, he said, this has been an "increasing emphasis," he told Riess, "more artwork of Christ, more hymns about Christ, more General Conference talks about Christ. In terms of emphases, there is more of an emphasis now on grace, on an assurance of salvation because of Christ&apos;s atonement." Historian Jan Shipps, who specializes in LDS history, once described Mormonism as "a new religious tradition." Turner sees it more as "distinct branch of Christianity rather than an entirely new thing unto itself." Still, clear differences remain between LDS teachings and evangelical Christianity. "Latter-day Saints believe that God and Jesus Christ are two distinct corporeal beings," Turner told blogger Thomas Kidd of Patheos, an interfaith website. "Mormons have generally understood Jesus&apos; sonship in a more literal sense than have most Christians." In addition, Mormons believe "Christ&apos;s atoning sacrifice enables the resurrection of all human beings and provides an opportunity for individuals to progress toward exaltation, meaning a higher level of glory within the celestial kingdom," Turner said in the interview. "Only those individuals who make and keep covenants with God on Earth  beginning with baptism but also including additional ordinances  will be exalted into the presence of God and their savior for eternity." Beyond such points, Turner said, "Mormons and evangelicals have far more common ground than most typically realize. Latter-day Saints believe in Jesus Christ as God&apos;s divine son, the divine agent of the world&apos;s creation, the resurrected savior and redeemer of the world and the Earth&apos;s coming king." What about the view some Mormons hold that Jesus was married? Turner told Kidd he could not "trace the idea of a married Jesus to Joseph Smith, but many Latter-day Saints articulated it in the 1850s, roughly at the same time that the church began its not very successful public defense of polygamy. Some church members concluded that they were the very descendants of Jesus Christ." Critics of Mormonism "have frequently used 19th-century quotes about a married Jesus as evidence that the Latter-day Saints follow a radically different and heretical savior," he said. But "LDS leaders publicly backed away from the idea more than a hundred years ago." While Turner finds "no persuasive biblical evidence for a married Jesus," the scholar said, "I don&apos;t think Christians need to hyperventilate at the notion."